The name “ginseng” is used to refer to both American (Panax quinquefolius) and Asian or Korean ginseng (Panax ginseng), which belong to the genus Panax and have a somewhat similar chemical makeup. Siberian ginseng or Eleuthero (Eleutherococcus senticosus), on the other hand, is an entirely different plant with different effects. It is distantly related to ginseng, but it does not contain the same active ingredients. Both Asian and American ginseng contain ginsenosides, substances that are thought to give ginseng its medicinal properties. Like Asian ginseng, American ginseng is a light tan, gnarled root that often looks like a human body with stringy shoots for arms and legs. It was used traditionally by Native Americans as a stimulant and to treat headaches, fever, indigestion, and infertility. Ginseng is sometimes called an “adaptogen,” an herb that helps the body deal with various kinds of stress. Ginseng has been studied for several conditions, and it remains one of the most popular herbs in the United States and throughout the world. Most studies have used Panax ginseng (Asian ginseng). There is some evidence that Panax ginseng may help boost the immune system, reduce risk of cancer, and improve mental performance and well being. Both American and Asian ginsengs contain ginsenosides, although the types and the ratio of these substances are different in the Asian and American herbs. Laboratory studies in animals have found that American ginseng is effective in boosting the immune system, and as an antioxidant. Other studies show that American ginseng might have therapeutic potential for inflammatory diseases. Research on American ginseng has focused on a number of conditions, some of which are described below. Several human studies found that American ginseng lowered blood sugar levels in people with type 2 diabetes. The effect was seen both on fasting blood sugar and on postprandial (after eating) glucose levels. One study found that people with type 2 diabetes who took American ginseng before or together with a high sugar drink experienced less of an increase in blood glucose levels. However, more research is needed. One study using mice found that the American ginseng berry was more effective at lowering blood sugar levels than the root. American ginseng has been shown to inhibit tumor growth. In one laboratory study on colorectal cancer cells, researchers found that American ginseng possessed powerful anti-cancer properties. 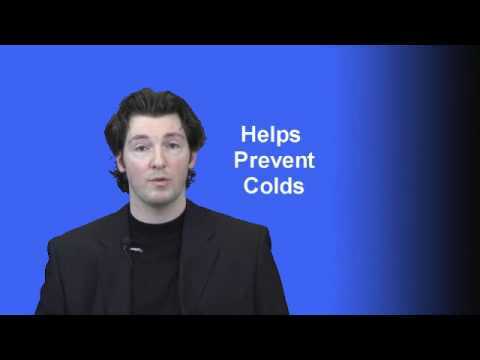 In two studies, people who took a specific product called Cold FX for 4 months got fewer colds and those who got colds found their symptoms did not last as long compared to people who took placebo. One preliminary study suggests that American ginseng, in combination with ginkgo (Ginkgo biloba), may help treat ADHD. More research is needed. Some scientists believe American ginseng enhances the immune system. In theory, that could help the body fight off infection and disease. In several clinical studies, American ginseng improved the function of cells playing a role in immunity. The American ginseng plant has leaves that grow in a circle around a straight stem. Yellowish-green umbrella-shaped flowers grow in the center and produce red berries. Wrinkles around the neck of the root tell how old the plant is. This is important because American ginseng is not ready for use until it has grown for about 6 years. American ginseng is very expensive and is endangered in the wild. It is now being grown on farms to protect wild American ginseng from over harvesting. 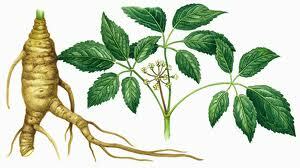 American ginseng products are made from ginseng root and the long, thin offshoots called root hairs. The main chemical ingredients of American ginseng are ginsenosides and polysaccharide glycans (quinquefolans A, B, and C). American ginseng seems to be more relaxing than Asian ginseng, which may have stimulating effects. American ginseng (dried) is available in water, water and alcohol, or alcohol liquid extracts, and in powders, capsules, and tablets. 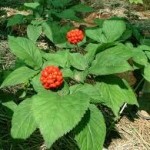 American ginseng is available with other herbs in several combination formulas. Be sure to read the label carefully so that you are purchasing the type of ginseng that you want. If you are looking for Asian ginseng, make sure you buy Korean, red, or Panax ginseng. If you are looking for American ginseng, you should buy Panax quinquefolius. Eleuthero (Eleutherococcus senticosus), which is sometimes called Siberian ginseng, may also be found in health food stores or pharmacies. It does not have the same active ingredients as Asian or American ginseng. 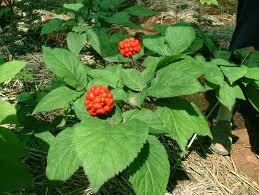 American ginseng is not recommended for use in children except under a doctor’s supervision. 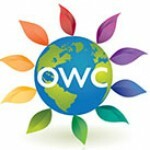 The use of herbs is a time honored approach to strengthening the body and treating disease. Herbs, however, contain components that can trigger side effects and interact with other herbs, supplements, or medications. For these reasons, you should take herbs with care, under the supervision of a health care provider qualified in the field of botanical medicine. To avoid hypoglycemia (low blood sugar), even in people without diabetes, take American ginseng with food. People with hypertension (high blood pressure) should not take American ginseng products without the close supervision of their doctor. At the same time, people with low blood pressure, as well as those with an acute illness, should use caution when taking American ginseng. Stop taking American ginseng at least 7 days prior to surgery. American ginseng can lower blood glucose levels and could create problems for patients fasting before surgery. In addition, American ginseng may act as a blood thinner, increasing the risk of bleeding during or after the procedure. Medications for diabetes — American ginseng may lower blood sugar levels, so it could interfere with the effectiveness of prescription drugs for diabetes. Talk to your doctor before taking American ginseng if you are taking medicines for diabetes, including insulin and oral hypoglycemic agents such as metformin (Glucophage). Blood thinning medications (anticoagulants) — One small study suggested that American ginseng might decrease the effectiveness of warfarin (Coumadin), a blood thinning medication. If you take any blood thinning medications, ask your doctor before taking ginseng. MAOIs (monoamine oxidase inhibitors) — Ginseng may increase the risk of side effects when taken with MAOIs, a type of antidepressant. 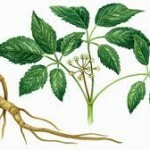 There have been reports of interaction between ginseng and phenelzine (Nardil) causing headaches, tremors, and mania. Antipsychotic medications — American ginseng may increase the effects of medications used to treat psychiatric disorders such as schizophrenia and bipolar disorder, so they should not be taken together. Stimulants — Ginseng may increase the stimulant effect and side effects of some medications take for attention deficit hyperactivity disorder, including amphetamine and dextroamphetamine (Adderall) and methylphenidate (Concerta, Ritalin). Morphine — Asian ginseng may block the painkilling effects of morphine.